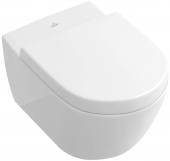 The WCs DirectFlush of Villeroy & Boch are characterized by the fact that they are rimless unlike convention toilets. This facilitates access for cleaning as there are no hidden corners or corners where dirt and lime can settle. 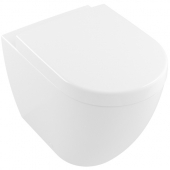 The result is a hygienic and easy to clean toilet. The water flow is precise, does not splash and has an optimum wash performance. In addition, rinsing with only 3 or 4.5 litres of water saves water. The optional CeramicPlus coating additionally supports hygienic performance because residues such as lime and dirt hardly adhere to the surface, but rather allow them to flow directly. 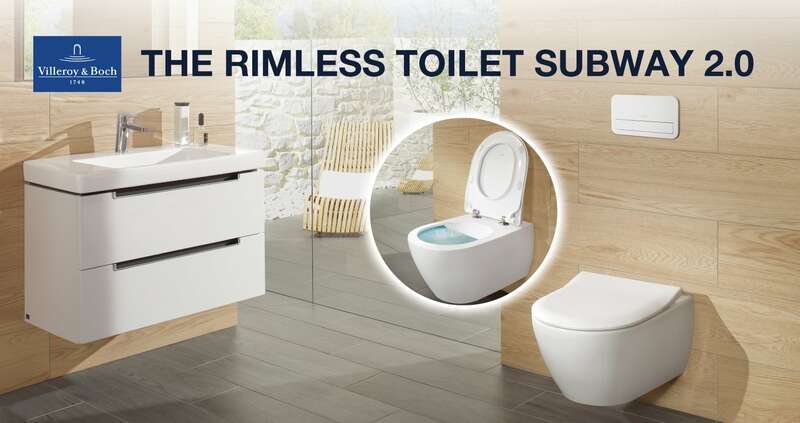 The Subway 2.0 toilet adapts to any bathroom thanks to its versatile and timeless design. The invisible fixation allows for a uniform appearance. The toilet is available in several versions: as a floor standing toilet, as a wall mounted toilet and as a flush toilet. 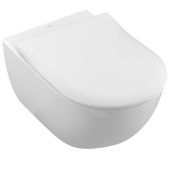 In addition, you can choose between two toilet seat variants: the normal seat and the SlimSeat. 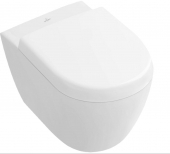 In addition, there are the optional QuickRelease functions, which make it easier to remove the lid for cleaning, and SoftClosing, which allows the toilet seat to close gently on its own after a short push.